Well, autumn has well and truly arrived in England and this week there's a cold snap forecast that might bring snow. Right now, the trees still show beautiful colours, but we're getting more and more grey and grumpy days. And yes, it's getting darker much sooner now. 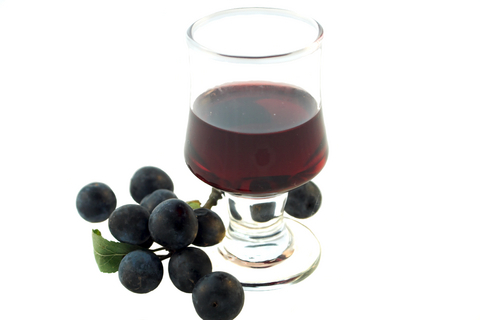 Life and work are keeping me very busy right now, but I've found a little time to pick sloes to make sloe gin and do a spot of cooking. So I'll be talking cheese pie later... just after I'll try and entertain you with a little bit of history that's a fantastic day out. For over 800 years, Dover Castle has stood guard over one of the gateways to England. High up on the cliff, it's visible to travellers arriving and departing... but there's a lot more to Dover Castle than just the great Medieval keep. Dover is a place with secrets. It's also a place that has seen much history. Those in the know think that the site started life as an Iron age hill fort, though no visible evidence of that remains to be seen today. What you can see is a Roman lighthouse, dating to the first half of the 2nd century AD. It's the only Roman lighthouse left in Britain and was once one of a pair on this side of the channel. The other one would have stood on the cliff overlooking the other side of Dover harbour. Next to the lighthouse stands an Anglo-Saxon church, attributed to King Eadbald of Kent and dating to around 640AD. Close to the lighthouse and church, William the Conqueror would have built Dover's first Norman castle. The big keep we see today was built later, by his great-grandson, Henry II and the inside of the Keep has been decorated as it might have looked in the late 12th century. The colours appear garish, but only until you realise that Henry and his guests would only have had candle light to see by. 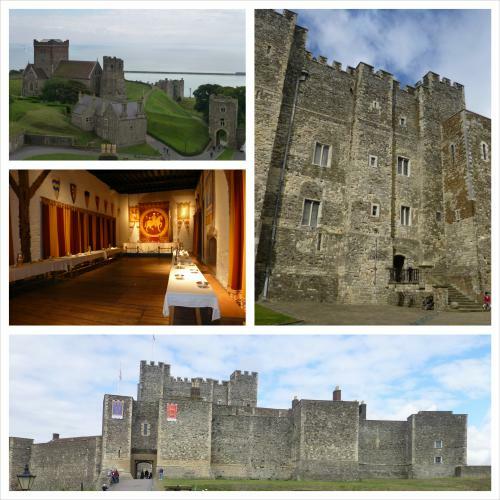 Dover Castle has a lot more to recommend itself than just early history. It stands on a cliff, but that cliff isn't solid. Not anymore. Through much of its long history, tunnels have been dug below the castle and used during times of war. The earliest tunnels are medieval, but tunnel building continued during the Napoleonic Wars and later - during WWII - Dover had situations rooms, communications, living quarters and even a field hospital all built into the famous white cliff. It's easy to see why Dover Castle makes such a wonderful day out. It matters little what your favourite periode of history is - you're bound to find something to fascinate you. You will need most of a day if you plan to wander the walls and look out towards the French coast, visit the lighthouse and church, explore the guns and batteries, climb Henry's Great Keep and tour the Secret Wartime tunnels. Actually, you won't just spend the day. Dover castle is one of those places you revisit, too. I really don't do this often enough. As an England and English history lover I should be constantly singing the praises of organisations like English Heritage - a charity that does their utmost to rescue and preserve historical sites and makes them available for all of us to enjoy. Their job can't be easy, but the results they produce are stunning. We've been members of English Heritage for years and we've never regretted it for a moment. As a member, you gain free entry to hundreds of properties across England. There are special family and children's events throughout the year, discounts for other historical sites not managed by either charity, like Warwick Castle and The Tower of London and I love the magazine. While we've been members, English Heritage has provided us with many wonderful days out... almost our whole Kent holiday was spent exploring English Heritage sites. If you are not a member, why not consider joining or making a donation to help them do their work? Or you could give someone a wonderful gift... Details about memberships and benefits can be found here. Autumn is the perfect time for cheesy suppers by the fire. And this cheese pie is something I fell in love with the first time I tried it. It's a cross between a bread pudding and a cheesy souffle and must have been one of these things thrifty housewifes whipped up when little else was in the larder. So, of course, it reminds me very much of my late grandmother, who was famous for being able to feed a crowd with nothing in the cupboard. But thrifty housekeeping wasn't just learned during the war. I've seen variations of this recipe in Victorian cookery books, and can easily imagine it being a dish served in the nursery. Bread, milk, cheese and eggs... great for kids! My recipe feeds two for dinner with a green salad and a glass of red wine or two. So I should imagine that it would make a pretty starter for four, if you bake the cheese pie mix in individual moulds. And as usual with recipes here - it's very easy. Start by placing the breadcrumbs in a bowl and stirring in the milk. I like to do this quite a bit ahead of time, as giving the breadcrumbs time to soak will give the finished pie a lovely silky texture. When you're ready to cook, butter your baking dish and heat your oven to a moderate temperature, around 180°C / 350°F / Gas 4. Separate the eggs and stir the yolks into the bread and milk mix one at a time. Beat the egg whites until they're fluffy and hold their shape before folding them gently into the pie mix. This will give you a lovely fluffy, puffed up cheese pie. Pour the mix into your baking dish, place it on the middle shelf in the oven and bake until golden. Mine takes around 20 minutes - and once it's baked it doesn't like to hang around or the top will collapse. That doesn't hurt the taste, but it looks nicer all puffed up and delicious. If you're using individual pie dishes, remember to bake for a shorter time. Apart from that - there's very little to go wrong with this. So enjoy! Still more castle adventures to share, but also food... after all, it's going to be Christmas, the perfect time for too much delicious food.